Cast on 60 stitches and knit 4 rows. 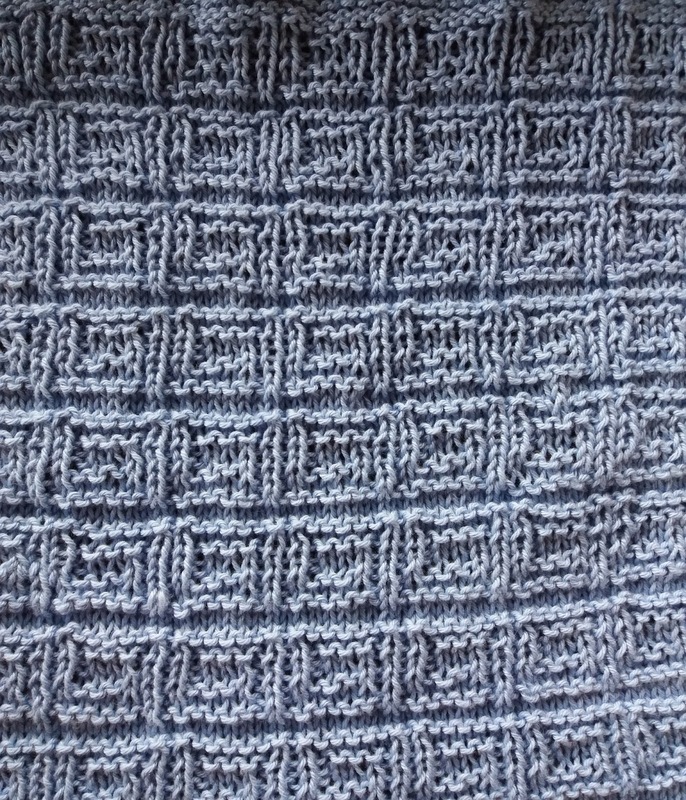 Knit pattern but remember to start and end all rows with 2 k. When the cloth has the desired length then knit 4 rows and bind off. 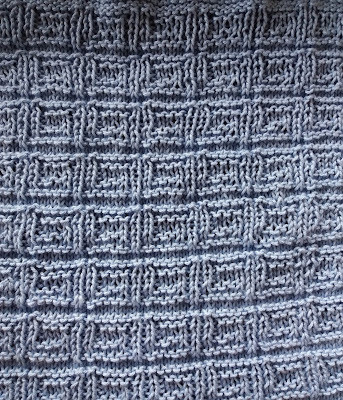 You have to remember that all uneven rows start in the right side of the diagram and X=purl and ▢= knit. All equal rows start in the left side of the diagram and X=knit and ▢=purl.